Mary Franklin taught both public and private education, been in public classroom s for 28 years, regular and special education. Taught special education preschool for 19 years, Special Day Class and inclusion. In 2004 part of a small team of educators that started the Center Co-op Inclusion Preschool, an inclusive preschool in Antelope, CA, near Sacramento. Have worked for the Sacramento County Office of Education as a special education teacher in Head Start programs. These programs have used an inclusive model for many years. 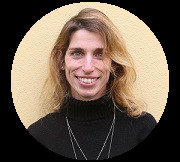 Dr. Bryna Siegel holds a Ph.D. in Child Development and an MA in Education from Stanford University and is the author of four books on diagnosing and treating autism spectrum disorders including The World of the Autistic Child (Oxford Univ. Press, 1996), What About Me? Siblings of Developmentally Disabled Children (Plenum/Insight, 1994), Helping Children with Autism Learn (Oxford Univ. Press, 2004), Getting the Best for Your Child with Autism (Guilford, 2008), and the forthcoming Politics of Autism (Oxford Univ. Press, 2016). She is the developer of the Pervasive Developmental Disorders Screening Test II (Psych Corp, 2002) as well as over 100 peer-reviewed chapters, papers, and abstracts and has lectured and trained nationally and internationally. She retired as Professor of Child & Adolescent Psychiatry at the University of California, San Francisco in 2012 to found the Autism Center of Northern California to develop a model for life-span services for families living with autism. When Bryna is not ‘doing’ autism, she loves to cook, travel internationally with her husband, and hang out with her daughter and granddaughter in Brooklyn. 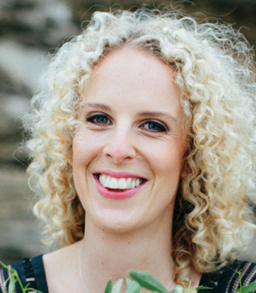 Jessica Feary is an Occupational Therapist and certified Early Start Denver Model (ESDM) trainer from Melbourne, Australia who specializes in working with young children with autism in group-based early learning environments. Jessica worked at the Victorian Autism Specific Early Learning and Care Centre (ASELCC) at La Trobe University, the flagship site for the Group-based Early Start Denver Model (G-ESDM). 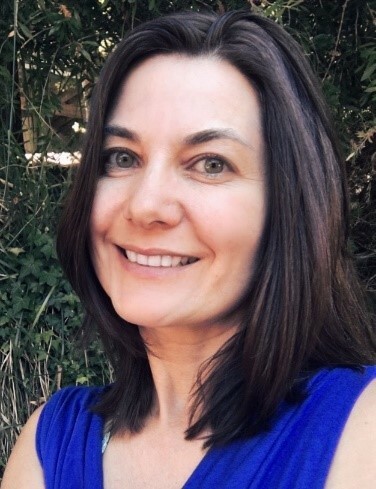 Jessica was a contributor to the book ‘Implementing the Group-Based Early Start Denver Model for preschoolers with Autism’ and along with her colleagues from La Trobe University, has authored a number of peer-reviewed articles. As an ESDM trainer, she has trained numerous professionals on the ESDM in Australia and abroad in countries such as France, India, and Austria. The importance of providing young children with autism with the opportunity to engage with their typically developing peers is acknowledged by international guidelines and policy documents (United Nations, 2006). However, there is little rigorous research documenting the outcomes of children with autism receiving early intervention in an inclusive early learning setting. In 2015-2017, the Victorian Autism Specific Early Learning and Care Centre at La Trobe University, Australia, conducted a pilot Randomized Control Trial study to ascertain the feasibility and preliminary effectiveness of providing the Group-based Early Start Denver Model (G-ESDM) in an inclusive early learning setting for young children with autism. In this study, 44 children with autism under three years of age were randomized to receive the G-ESDM for one calendar year in either an inclusive setting among mostly peers without autism or a specialized setting among other children with autism. The presentation will provide an overview of the G-ESDM and discuss the one-year post-treatment outcomes for children receiving G-ESDM in an inclusive or specialized setting. Psychologist-Psychotherapist and Hypnotherapist, is Professor of General Psychology at the Department of Human, Philosophical and Educational Sciences at the University of Salerno (Italy). In several contexts, since 1998 he has carried out training and intervention activities on different areas of psychology, in educational and clinical context. The following are some topics covered by his training courses: analysis and coping of complex educational cases, observation of bodily communication, communicative strategies, overcoming the cognitive limits of our mind, promoting relational and emotional attitudes in the development, empowering of mind-body integration, neuroscientific oriented hypnosis, psychosocial genomics, creative process and problem solving, stress reducing. He is Scientific Director of the International Center for Psychology and Strategic Psychotherapy (CIPPS) of Salerno (Italy). He is also a teacher at the School of Specialization in Psychotherapy with an Integrated Strategic Approach Seraphicum of Rome (Italy) and he’s part of its Scientific Committee. At the University of Salerno he has established since 2006 an interdisciplinary research group on Psychosocial Genomics and in 2012 he founded the PSG-LAB, an innovative Laboratory of Psychosocial Genomics whose main objective is the multidisciplinary study of the complexity of the mind-body functioning with the aim to put at the service of people and patients more effective and integrated care models which are based on rigorous and innovative experimental evidence. 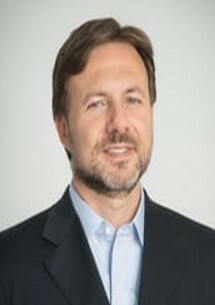 As an internationally renowned expert in the field of Neuroscience and Mind-Body Communication, Mauro Cozzolino poses himself the difficult goal of using different disciplinary knowledge to understand the way in which positive and/or negative psychosocial experiences can modulate gene expression and brain plasticity by encouraging change at multiple levels, from the behavioral to the genomic one. He regularly conducts transdisciplinary and translational research projects and training in collaboration with universities, research institutions between Italy and the United States, in order to promote a psychosocial wellbeing and a mind-body health. He has developed and taken part in several projects funded by the European Commission obtaining important international awards. In 2017, together with Giovanna Celia, they were chosen as a couple by the official journal of the Milton Erickson Foundation as protagonists of the column “The Power of Two” for the contribution they have given to the advancement and evolution of clinical psychology, hypnosis, and psychotherapy. In particular, Mauro Cozzolino and Giovanna Celia are the only Italians so far chosen in this important column for having represented, at various levels, the true spirit of the couple’s power in scientific research. The intervention that will be presented is part of the educational debate on inclusive practice, children social and emotional development. The children’s social-emotional development affects many aspects of their scholastic and daily life. Many educators know that but often are not able to use this consciousness on complex cases or that present educational special needs. Educators community training is of primary importance for preventing and reducing the risk of compromising the meaning of doing early school. For this reason, it is developed a methodology to enhance the ability of educators analyzing and managing complex cases to act more effectively. The workshop offers the opportunity to learn a methodology of analysis and intervention on complex cases ensuring a good socio-emotional development for our children within the community reference. The Methodology for Resolutive Hypothesis Construction (RHC), developed in twenty years of training activity for educators promotes a deconstruction of the previous socio-emotional and cognitive assumptions on the complex educational case contributing to a reorganization of the resources to face the problem in a more functional and adequate way. This goal can be pursued through an educational intervention that creates the membership and reduces the experience of isolation and disinterest. The RHC is configured as an active and interrogative method that provides solicitations that encourage educators to compare themselves, to find effective intervention solutions for work with children with special educational needs. The RHC is outlined as research-action and is conducted through a specific socio-emotional and cognitive model of intervention easy to learn that helps educators to co-construct educational personalized solutions. Starting from a mind-body perspective with a cultural, systemic and ecological psychological vision, the RHC is oriented to the social construction of meaning, in order to develop a wider group socio-emotional work more resolutive and less stressing among educators. The RHC can be used for managing any educational difficult situations such as for example children with low motivation, aggressive behavior, socio-isolation, poor scholastic performance, bullying and so on. Dr. Wade has over 25 year experience in the area of education and has considerable expertise in self-advocacy, community inclusion, equity and sexuality for individuals with significant disabilities. In a variety of student service roles, Dr. Wade has taught for many years in public school settings and at the University level. In recent years, Dr. Wade has served in School District Senior Management roles and created equitable programs and services for all students, both in school settings and in the community. Dr. Wade has a Doctoral Degree in Education, Disability Studies and Teacher Education from University of California, Berkeley. Belonging to Learn: How can school communities build a philosophy of inclusion, and more importantly, day to day practices that communicate in many ways, ALL Welcome ALL Ways. This talk will explore how a School District can move from traditional practices for supporting students with disabilities to a District-wide inclusive school model. The talk will highlight evidenced-based practices of moving from the least restrictive environment while maintaining high quality best practice instruction for all. Learn how to begin a systemic approach to shift to an inclusive model through a five-year implementation plan— building welcoming and inviting classrooms for all. 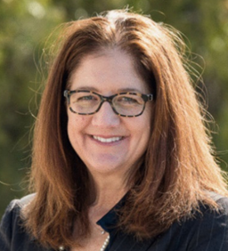 Carmen Gamper is founder of New Learning Culture Consulting and passionately serves as an international advocate and consultant for innovative child-centered education. She combines elements from Montessori, Waldorf, and Reggio Emilia education, as well as the new sciences of epigenetics and neuro-cardiology. Born and raised in Italy, Carmen has become part of a new European wave of “enhanced” Montessori teachers who are inspired by Rebeca Wild, Claus-Dieter Kaul, and Joseph Chilton Pearce. She co-created and directed two K-8 private schools, one in Italy and one in Austria, based on child-directed learning within healthy boundaries. The capacity to be sensitive to and understand the feelings of another from within their framework is a complex, vital skill that is innate to our human nature. However, our innate access to empathy must be deepened and developed during childhood in order to flourish in adulthood. Let’s explore how we can best support our children and students in developing empathy for themselves, others, and all life. 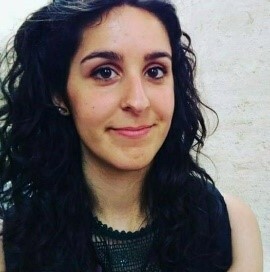 Emanuela Zappalà is currently a Ph.D. student in “Didactic Corporealities, Technology, and Inclusion” in the Department of Humanities, Philosophy, and Education of the University of Salerno. Her research interests include teacher education and more specifically on inclusive and special pedagogy and didactics, simplexity in didactics and special didactics for students with Autism Spectrum Disorder (ASD). More specifically, Dr. Emanuela Zappalà research focuses on investigating inclusive practices which can support teachers in promoting full participation and development of students with ASD. She is now exploring the Group-based Early Start Denver model and its application in special schools to observe and analyze the way it promotes social interactions with peers and to identify teaching strategies that can support the inclusion of students with ASD. The current body of research shows the interest in translating evidence-based practices (EBP) for students with Autism Spectrum Disorder in the educational field. Moreover, the importance of an early intervention to support the child on his/her development is broadly shared and supported also by several scientific studies. Among the EBP the Group-based Early Start Denver Model is a group-based adaptation of the Early Start Denver Model whose treatment aims at developing social learning and engagement individualizing treatment goals and treatment strategies, according to the child’s need and difficulties, through the principles and practices of the Applied Behaviour Approach, the Pivotal Response Treatment and the Denver Model during naturalistic social interaction. In particular, this contribution will focus on the presentation of an international project whose objective is to investigate on the educational suggestion of the G-ESDM for teachers training after its implementation in Italian educational context through Fixsen and colleague (2005) theoretical framework. Daniel Rechtshaffen, MA, LMFT, is the author of The Way of Mindful Education and The Mindful Education Workbook. He is the Director of the Transformative Educational Leadership program. He organizes the annual Mindfulness in Education Conference and Teacher Training at the Omega Institute. 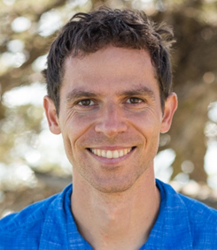 Daniel offers keynote speeches and mindfulness trainings at conferences, schools, communities, and businesses, such as University of Wisconsin Madison, Google, Esalen Institute, and schools around the globe. Daniel teaches mindfulness through music, sports, storytelling, games and other creative and engaging ways. He is inspired to utilize mindfulness to help us become more conscious, compassionate, and committed to taking care of this miraculous world we live in. He is also the director of the Mindful Education Online Training, a mindfulness and social-emotional learning platform for educators. In this talk, we explore how to integrate the five literacies of mindful learning into educational settings and systems. We begin with physical literacy, teaching students the language of their bodies to develop awareness, relaxation, and well-being. Then we advance to mental literacy, helping students learn about attention, distraction, thoughts, metacognition, and the mechanics of their minds. We proceed to emotional literacy, supporting students in learning how to regulate difficult emotions and happiness, gratitude, and compassion. Then we introduce social and global literacy, empowering students to bring their attention and compassion into relationships, cultural contexts, and expanding their mindful lenses to understand and care for the world all around them. Douglas Lerch, LMFT, is the founder, Executive Director and a clinical director at Seeds of Awareness. 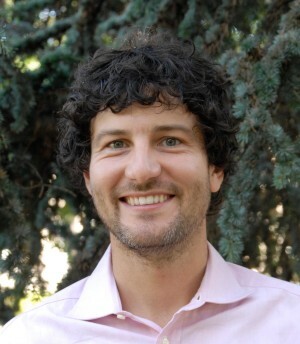 Douglas pioneered the Nature-based social skills modality of Fiddleheads, that supports neurodivergent youth in 2010, and the subsequent programs of Seeds of Awareness in 2012. 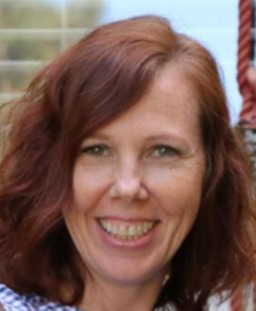 With a Masters in Counseling Psychology from California Institute of Integral Studies, Douglas is a marriage and family therapist specializing in working with children with learning and developmental challenges, and their families. Douglas leads training in schools, agencies, and in the community on mindfulness-based, trauma-informed therapies, and parenting practices. With his wife and 16-year-old son, Doug dances, lives, hikes, and plays in Petaluma, CA. Yamit Karabelnik is a visiting scholar from Israel, an Early Start Denver Model certified therapist and apprentice trainer. She is an intern in the international training program for neuro-developmental disorders at the MIND Institute and Early Days Autism Center. Her master is in Education, and she has vast experience in teacher training, schools implementation, and inclusion. Her goal is to support dissemination of Evidence-Based Practice to public schools and health systems. When working with young children goal setting it an important key to successes. Thinking on what do I want to teach and writing it in a measurable way can be confusing. During the I will give helpful tips for choosing goals, writing them and developing small teaching steps for success. The workshop includes a group activity and participants will leave with a goal they independently wrote and can implement in home or school. The workshop is targeted for Parents, Educators, and Therapists. Dr. Cynthia Zierhut, Ph.D. is a developmental and licensed clinical psychologist specializing in working with young children with Autism Spectrum Disorders and their families. She worked as a clinical supervisor and project manager for the Early Start Laboratory at the UC Davis MIND Institute for twelve years under the mentorship of Dr. Sally J. Rogers. She is also a lead trainer in the ESDM Training Program. Dr. Zierhut, also, managed a collaborative ESDM group delivery project in Melbourne Australia in 2011 with her colleagues Dr. Cheryl Dissanayake and Dr. Giacomo Vivanti. Dr. Zierhut aims to make accessible high quality learning opportunities for therapists in local communities and for our international colleagues to disseminate the ESDM so that more children and families have access to this highly effective intervention in those early days.